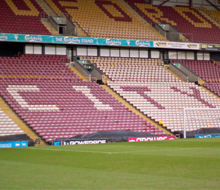 Back in the winter of the 2009/10 football season, Bradford City Football Club had a huge problem. 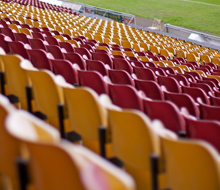 With the onset of an incredibly harsh winter, the Club's Valley Parade stadium was affected by record low temperatures. These caused much of the pipework to freeze, with resultant cracking in the toilet facilities. With the busy Christmas footballing period just a matter of days away, the Club needed to make repairs to meet football league regulations and thereby complete their home fixtures. The impending crisis led the Club to turn to national building and service engineering contracting company Mitton Mechanical Services. The company's team of staff worked around the clock to ensure that the work required was completed on time. Mitton needed a large amount of high quality materials delivered to site quickly to allow them to complete the job, so their first port of call was C&D Leeds. C&D Leeds supplied the Club with an array of plumbing products and sanitaryware from leading brand Armitage Shanks, all delivered ex-stock in full on the day of order so work could begin immediately. "In this tight situation, we were under a lot of pressure to get our work completed quickly so that the Bradford vs Shrewsbury game could go ahead as planned," stated Mitton Mechanical Services General Manager Ian McWilliams. "Obviously, we needed our materials on site as quickly as possible. Luckily, we knew C&D would have all the products we needed in stock and could get them to us quickly. I think some of their staff must be Bradford City fans because they went beyond the call of duty and delivered to the stadium within a matter of hours!" Mitton completed all of the required work in time for the game to go ahead. 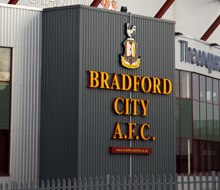 Bradford won the game 2-1 and had a very successful Christmas period.